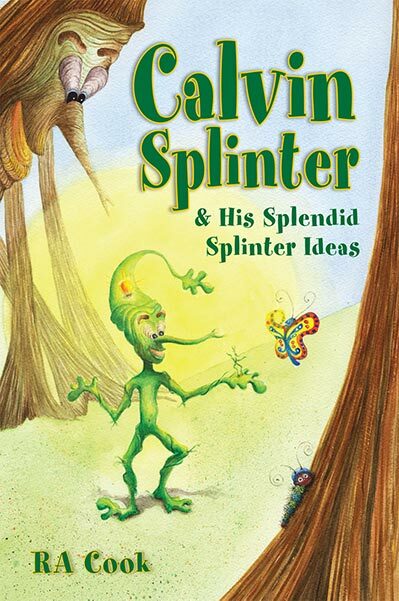 If you’re enchanted by the imaginative and captivating world of children’s literature, you must come and celebrate the launching of RA Cook’s book, Calvin Splinter & His Splendid Splinter Ideas at Griffin Bay Bookstore on Saturday, November 3, 2:00—4:00 pm. This is a wonderful—and beautifully illustrated book that comes with a catchy marimba tune, The Humming Song. Lyrics are by RA Cook, music written and arranged by RA Cook and Margie Smith. After a terrible storm in the Kingdom of Lumaria, with the help of a butterfly named Howie, a caterpillar named Woolie, and using his splendid splinter ideas, Calvin Splinter, a forest nymph, calls all the other splinters by humming a catchy tune, The Humming Song. Working together, they rebuild the Great Forest. Calvin Spinter & His Splendid Splinter Ideas is a story of hope and renewal. It is specifically geared for children ages 4 to 9. The lively text and delightful art carry a strong environmental message, dovetailing with such themes as intuitive ideas, relationship building and working together for a common goal. This is a book that will surely delight and capture the young and old alike. 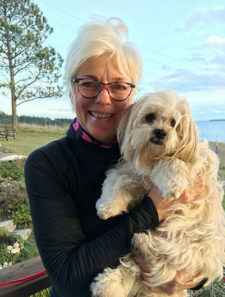 A graduate of the Academy of Art University in San Francisco, with a degree in illustration, RA Cook, an award-winning graphic designer, has worked in the newspaper, magazine, and book industry for over three decades. “I have designed many a book for clients in the past, but writing and illustrating my own children’s picture book is my passion and life’s work.” Calvin Splinter & His Splendid Splinter Ideas was a heartfelt ten-year project. “Calvin Splinter” is an amazing illustrated book. The launch at Griffin Bay Bookstore on Nov 3rd is an event not to be missed! Bring your children and grandchildren, and don’t forget your own inner child. Congrats, Rebecca! What a total delight! Get you early Christmas shopping off to a fun,splendid start,or simply treat yourself! My great grandchildren will be mesmerized as I was at 70+!